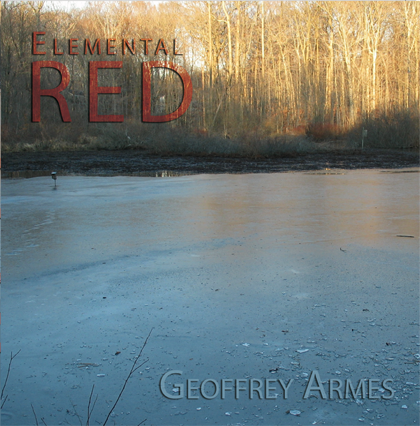 Energetically spiritual, 'Elemental Red' repays careful listening. From the nostalgic almost pop of 'Gypsy Hill' (track 2) to the fierce longing of 'Mountain' (track 10) to the sensual neo-traditional folk of 'Sea Lanes' (track 9) to the luxuriantly calm 'Man on the Moon', (track 7) this music travels an emotional landscape at once familiar and exotic. 'Elemental Red's acoustic verve, symbol and metaphor-laden poetry, and highly propulsive but acoustic production value is a restless depiction of quest. Name checking Jung, laden with quotes from JG Bennett, GI Gurdjieff, and perhaps most obviously Muhammed Subuh, this drive, while peaceful, is immediately felt. So many roads sung of, which road? Meta-roads? Pan Celtic guitar derivatives augmented by African percussion act as a trellis for elegantly eloquent searching song-writing that rides melody, that is sweet, honest, natural and highly affective. With this recording I rode two horses, the one pulled towards the magical illusion of overdubbing and effects while the other asked for the guitars to be in your face, the singer's breath in your ear. While I rode I gabbed about journeys inner and outer and in-between, couched in the languages I had learned along the way. In hotel rooms with shining simonised surfaces to admire, and luxuriant arm-chairs to relax in, I booked perky live performances, without loops and clever edits, to please you. Elemental Red's booklet features a set of full colour photographic images by Rob Dodson, as well as the lyrics for each song on the CD.